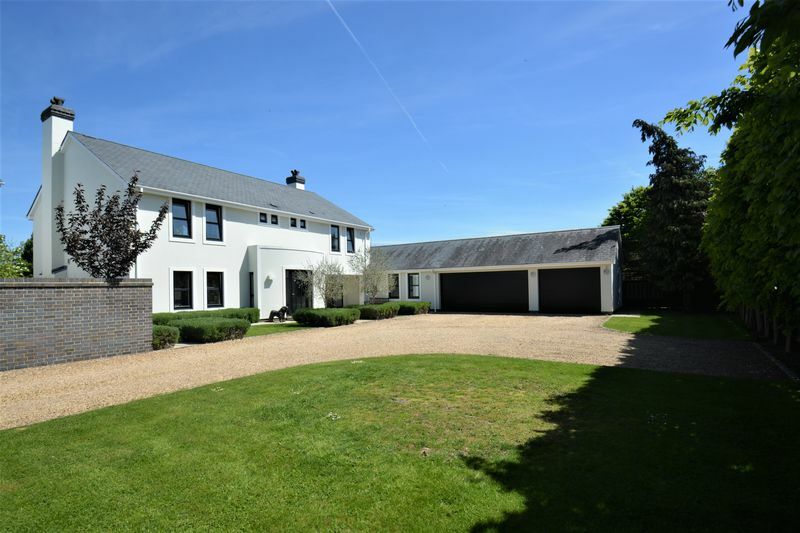 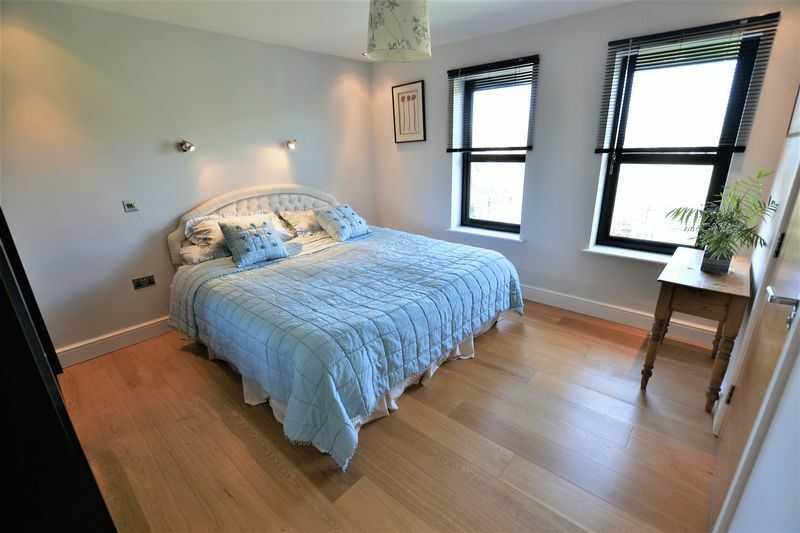 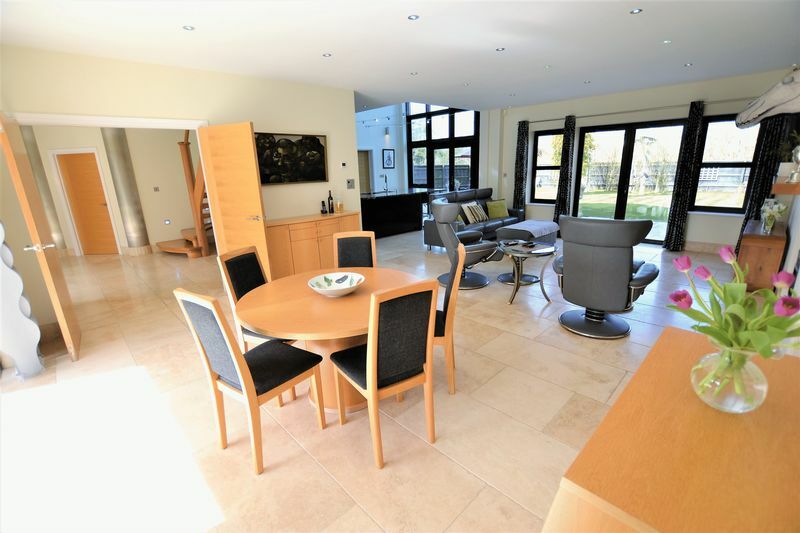 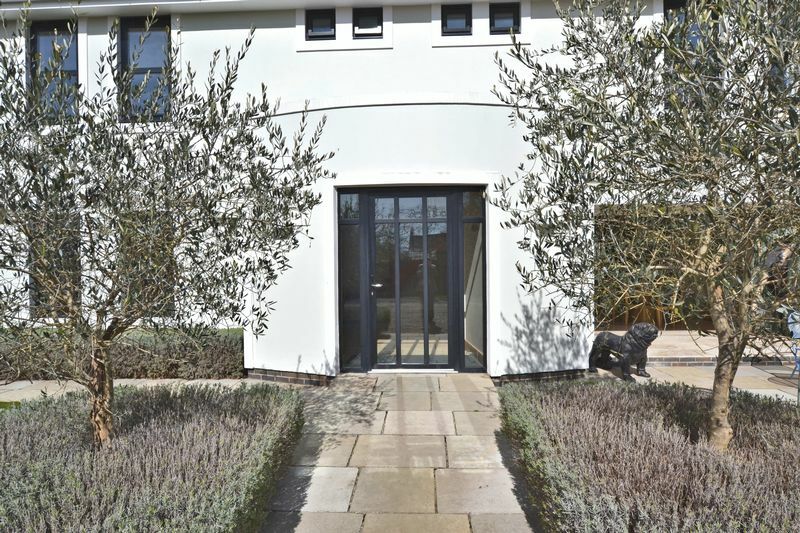 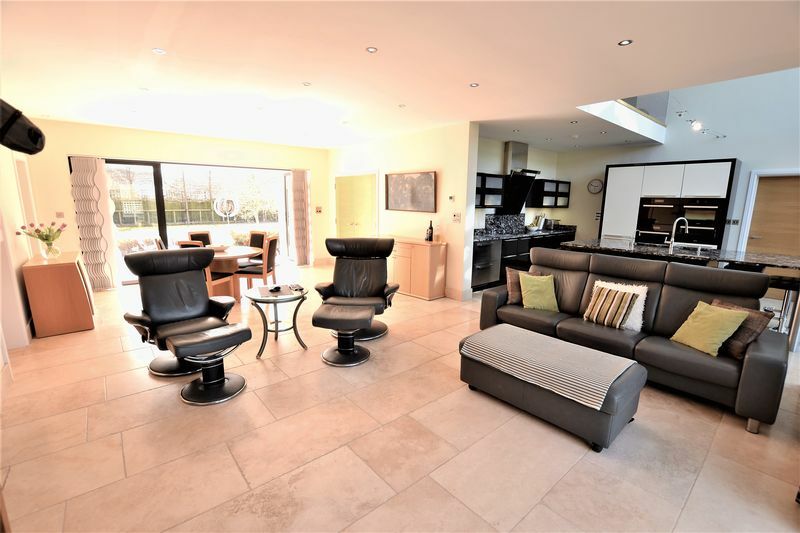 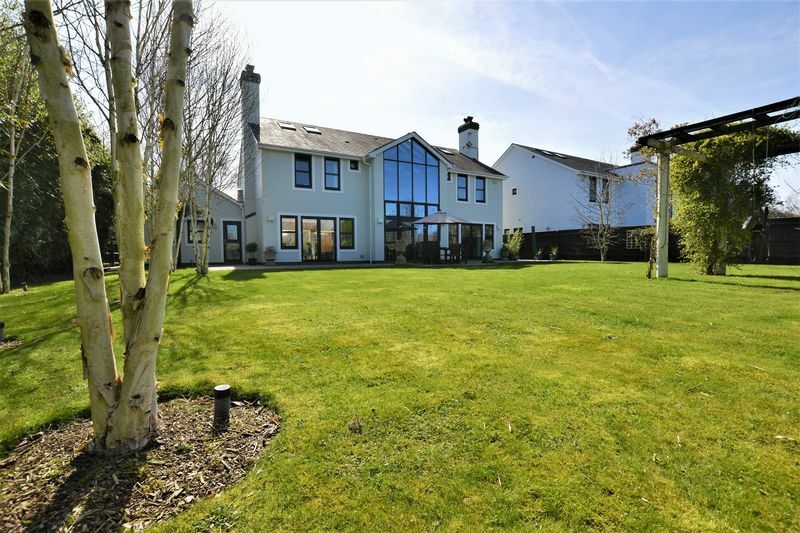 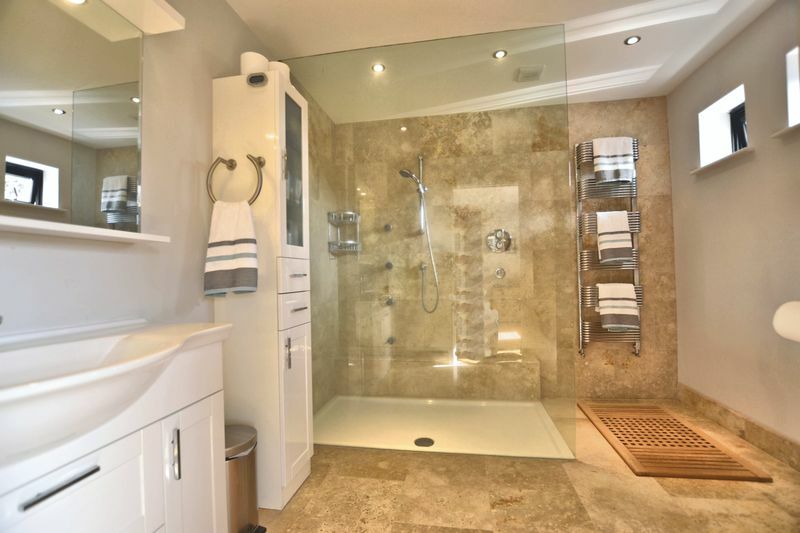 An exceptional, contemporary village house built just 8 years ago to offer luxuriously appointed accommodation, set in landscaped 1/3 acre gardens in a private location off the village green. 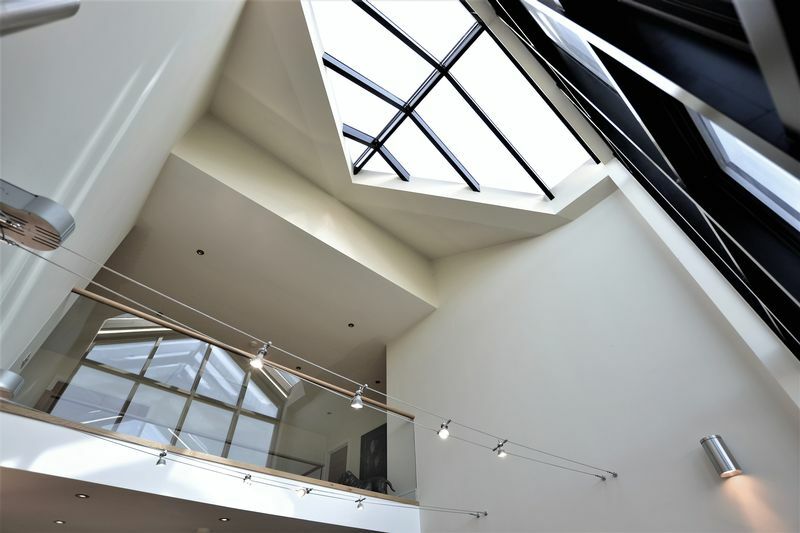 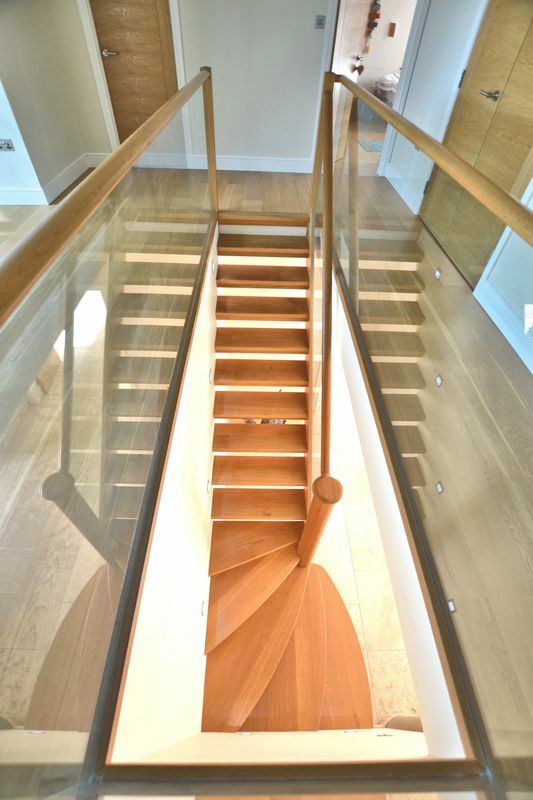 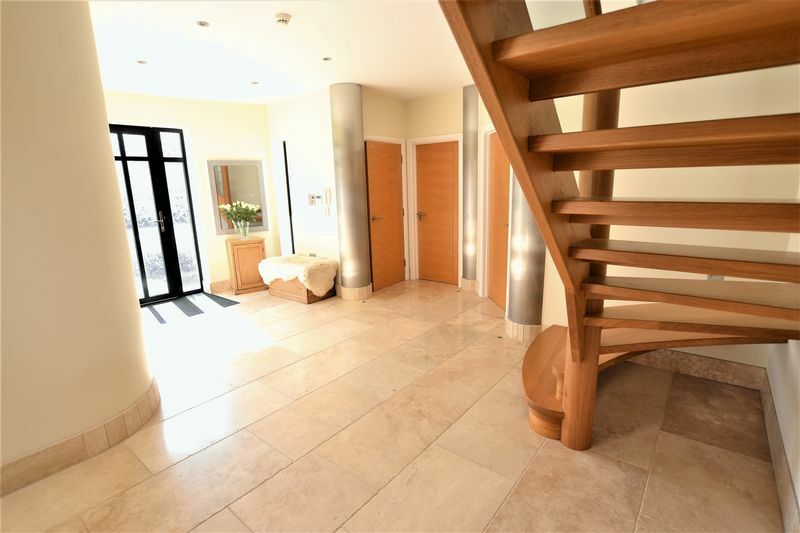 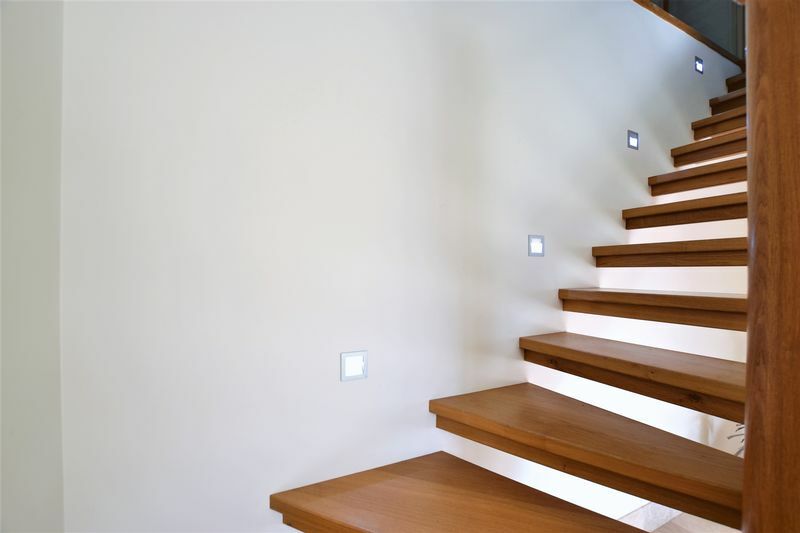 Boundary House offers a host of unique features accentuating the crisp modernist design of the property, including a dramatic full height atrium above the kitchen, illuminated open tread oak stairway, landing gallery and feature pillars finished in brushed stainless steel. 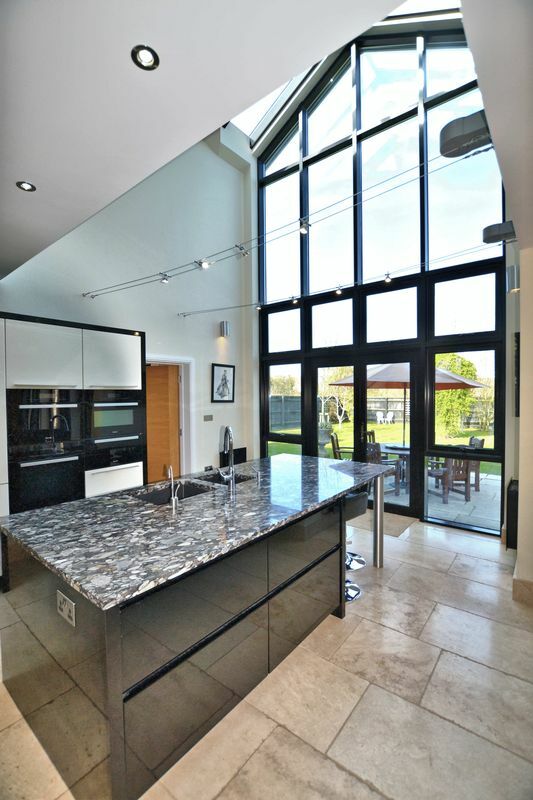 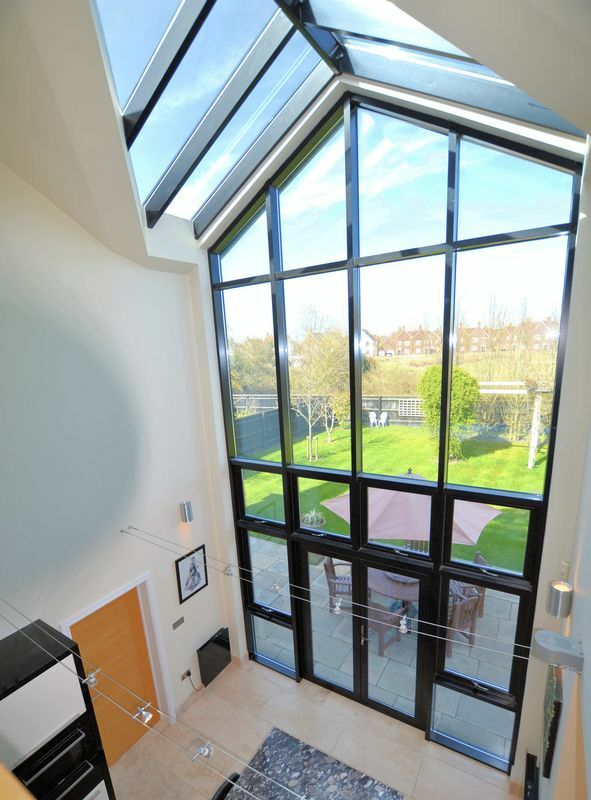 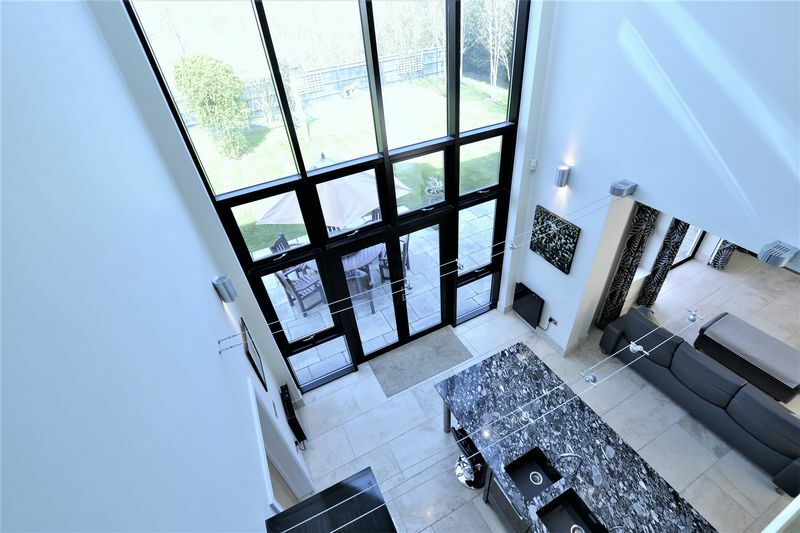 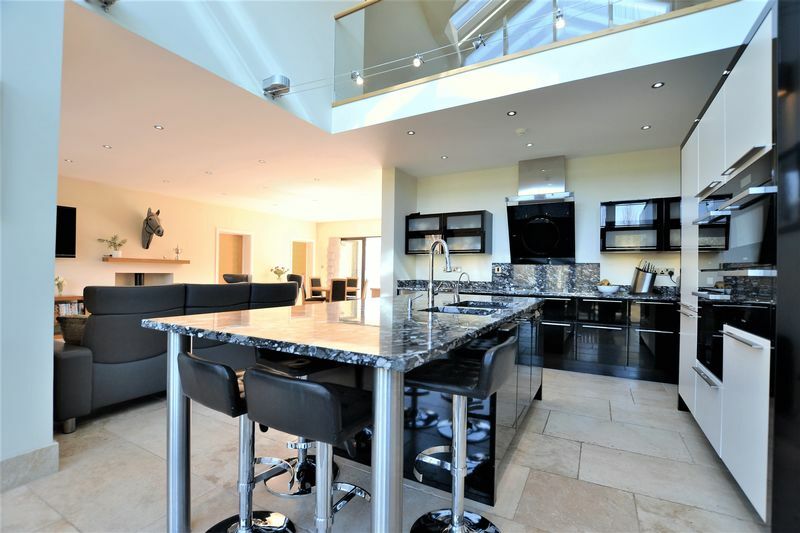 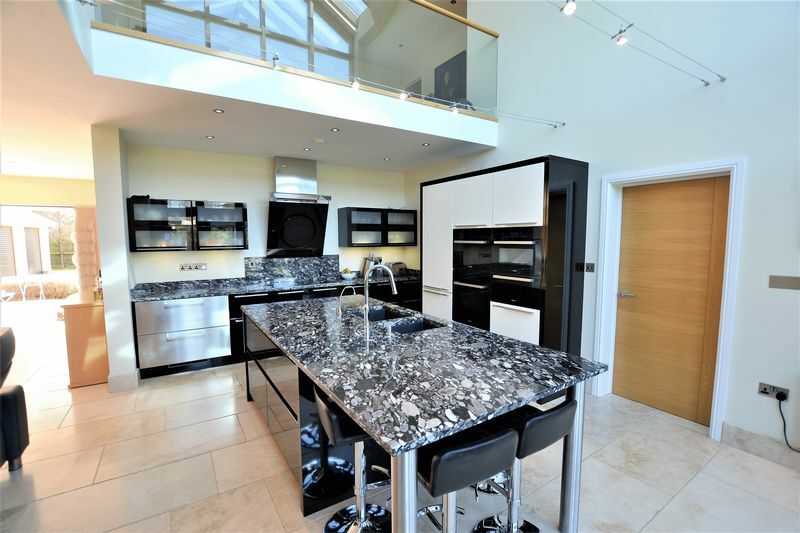 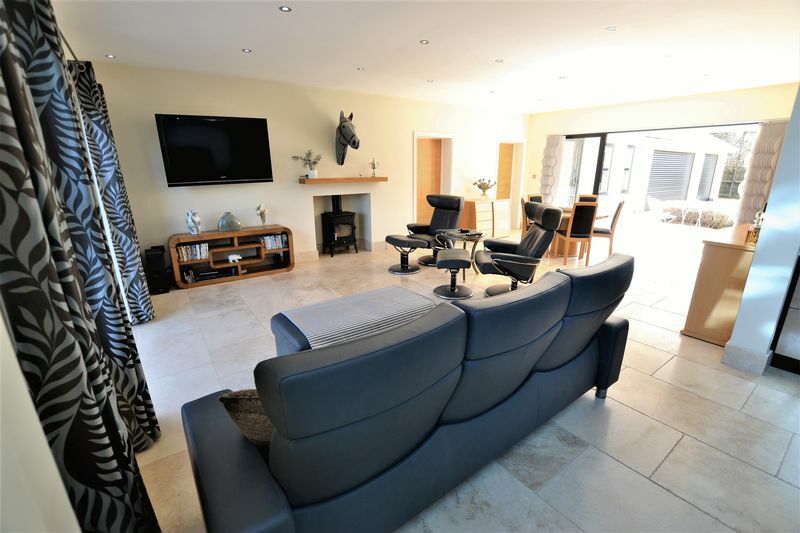 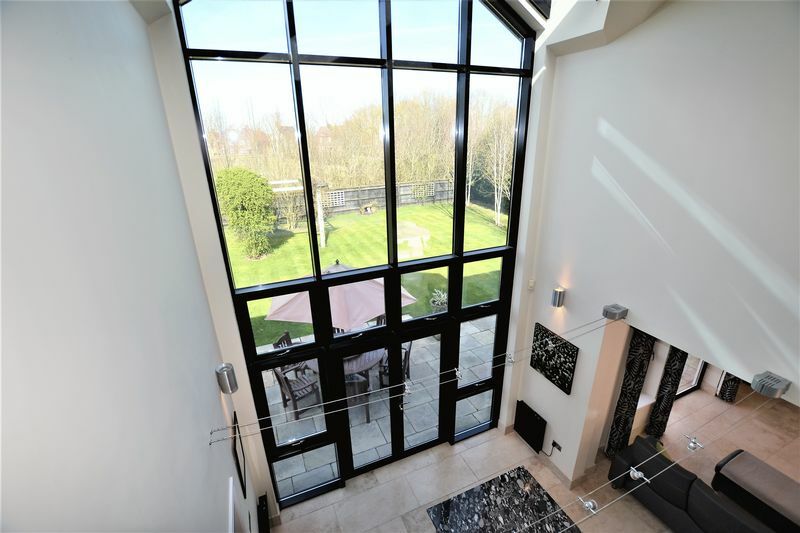 The ground floor features a large hall leading to the sitting room, study / office and the open plan living and dining space, which in turn opens through to the black and white high gloss statement kitchen with integrated Miele appliances and "pebble" granite work surfaces. 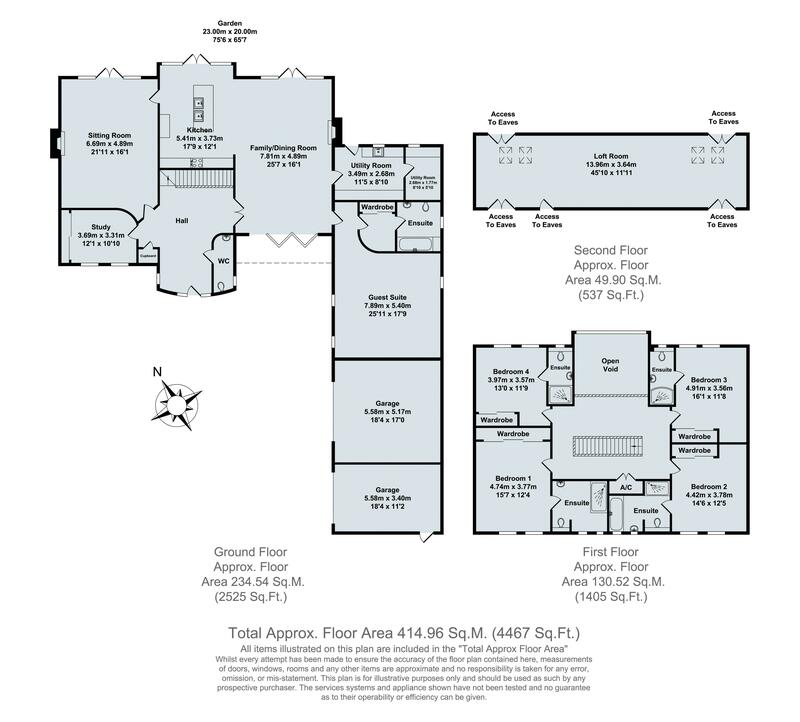 A Ground Floor Suite lends the house great versatility, opening up the options of a separate annex if desired. 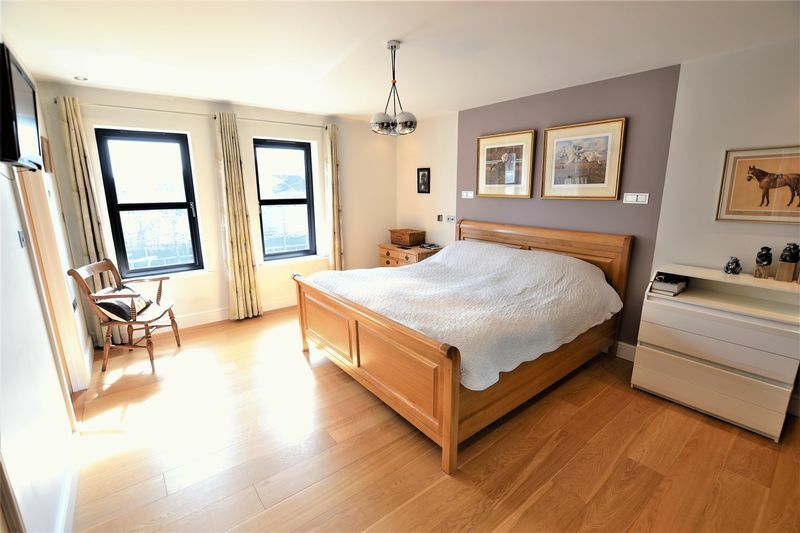 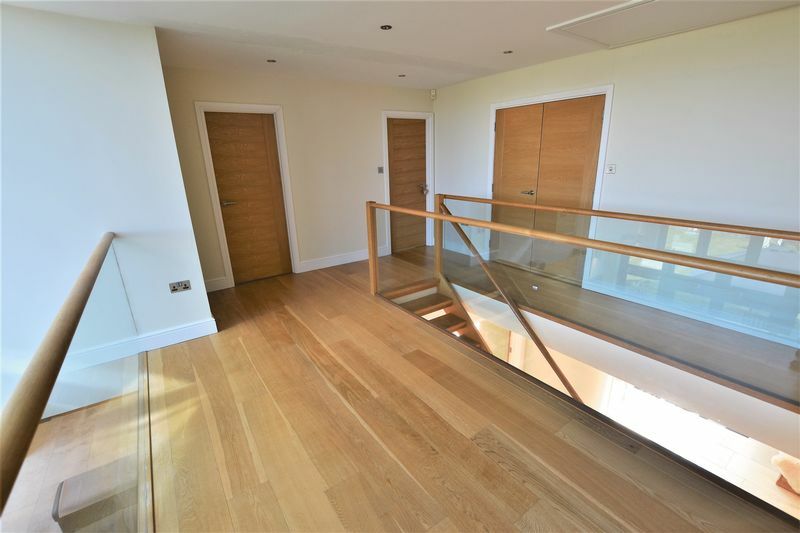 On the first floor are four further en-suite bedrooms off an impressive landing set off in oak and glass with a gallery above the kitchen. 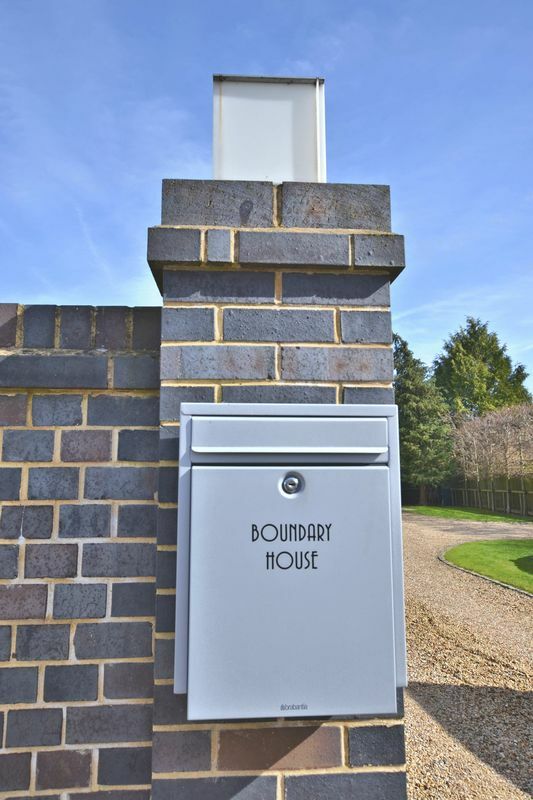 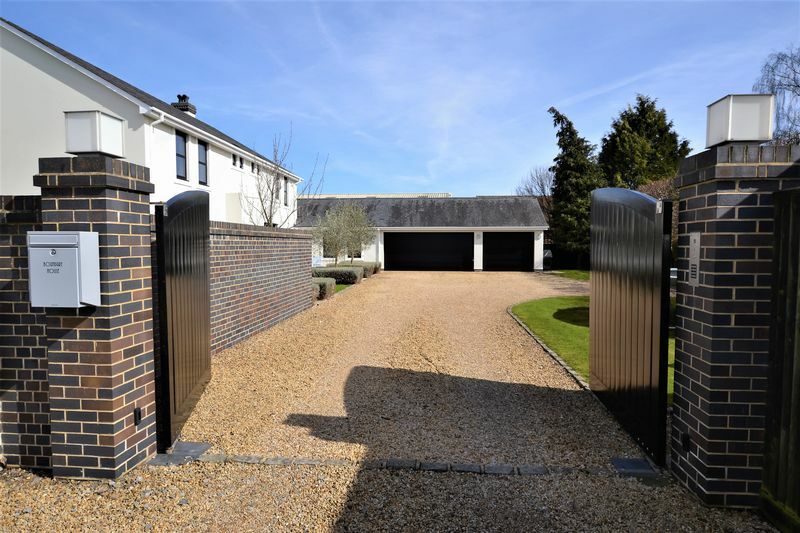 The property is set behind a walled entrance with automatic gates, accessing a large gravel driveway, gardens and garaging. 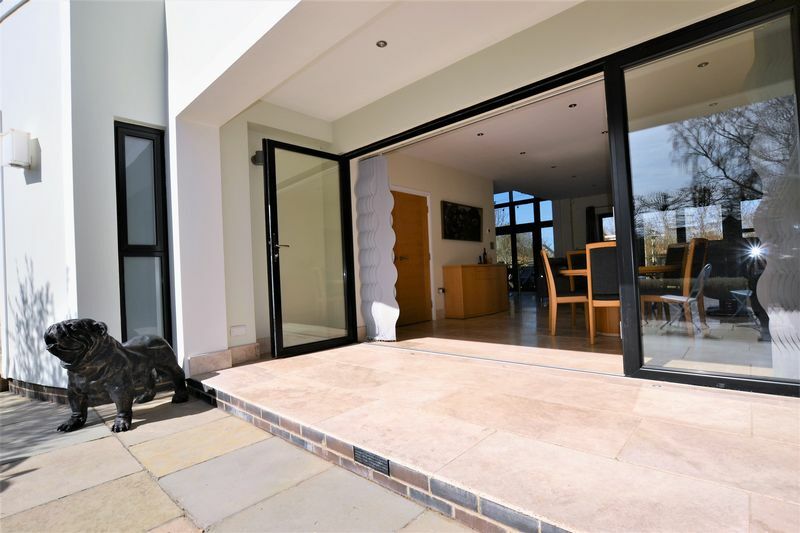 The house has been orientated to take full advantage of aspect with a terrace and bi-fold doors from the living room, opening to the front of the house as well as the rear. 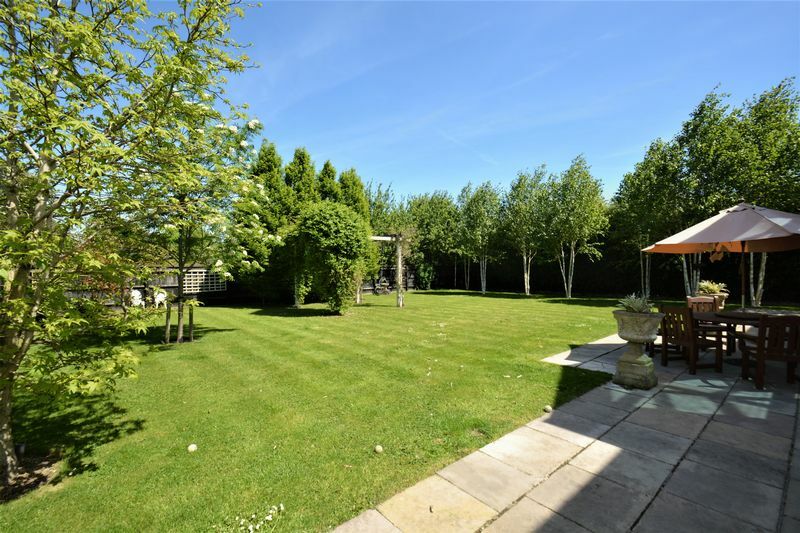 Steventon is a thriving village with a long history dating back over 1000 years. 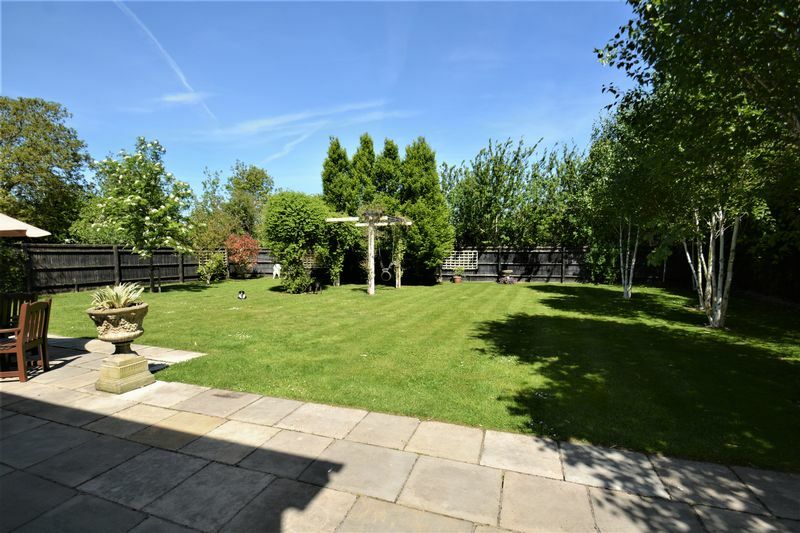 There are some fine Tudor buildings around the ancient Causeway and the village green and a pretty parish church. 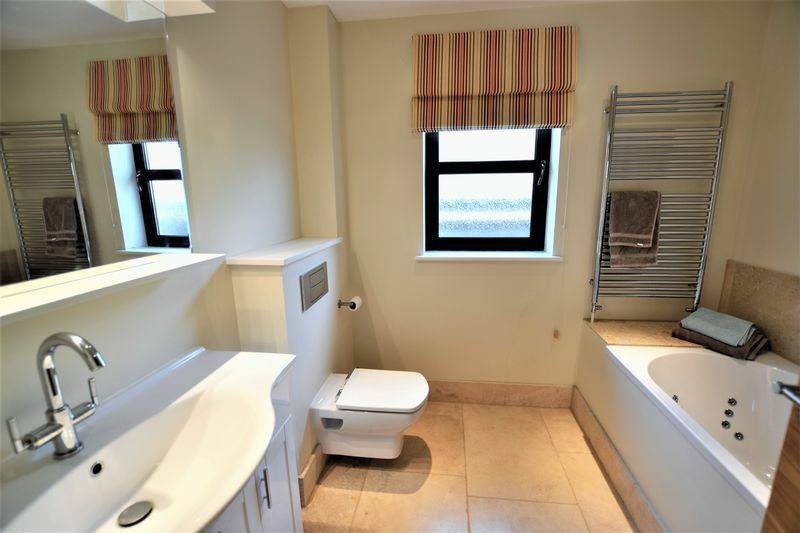 Local amenities include a primary school, village store (Co-Op) 3 pubs and a village bakery. 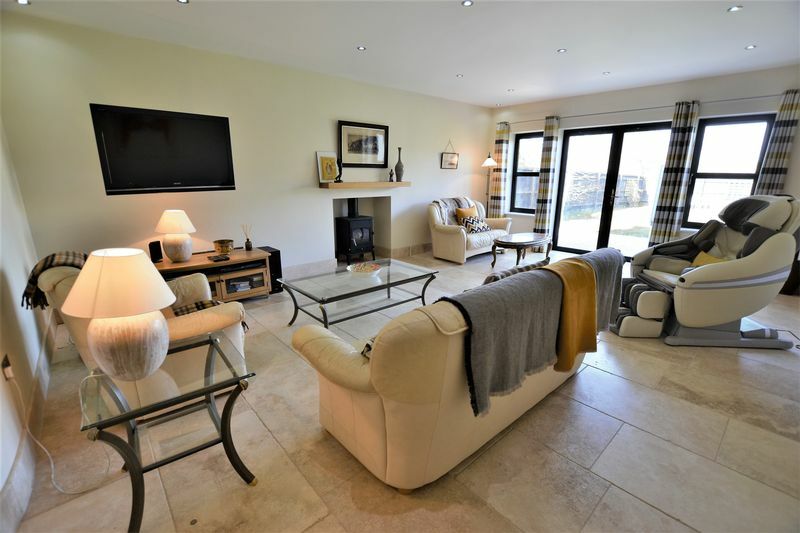 Abingdon is just 3 miles away and offers a good range of facilities, whilst the Garden Town of Didcot (4 miles) offers an excellent mainline rail service from Didcot Parkway to Paddington (40 minutes) and a wide range of shopping and leisure facilities. 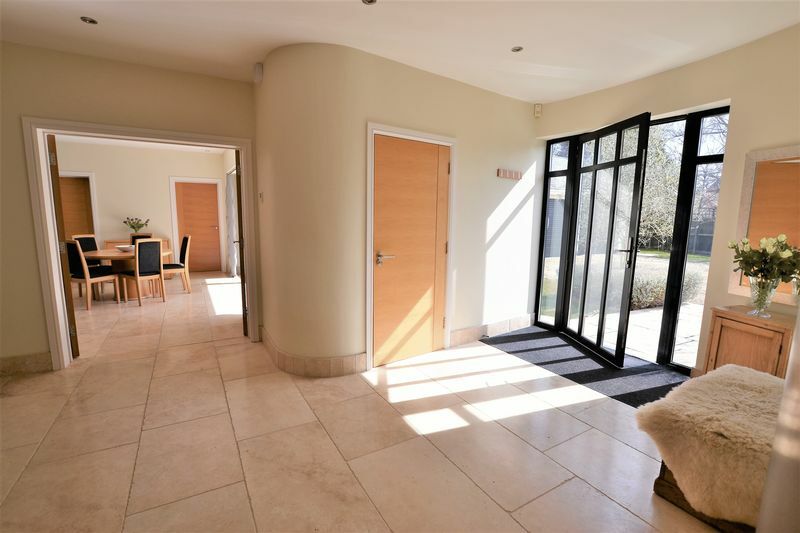 Secondary schooling at Abingdon and Didcot with a wide range of independent schools at Abingdon (Abingdon School, St Helens & St Catherines and Our Lady's Abingdon) and Oxford.